For this week's makeup look, I wanted to do something slightly more bold and playful. I've always loved the vintage and flirty makeup of Burlesque and Cabaret performers. Usually features are over emphasized, lashes are strong, and lips are bold and defined. 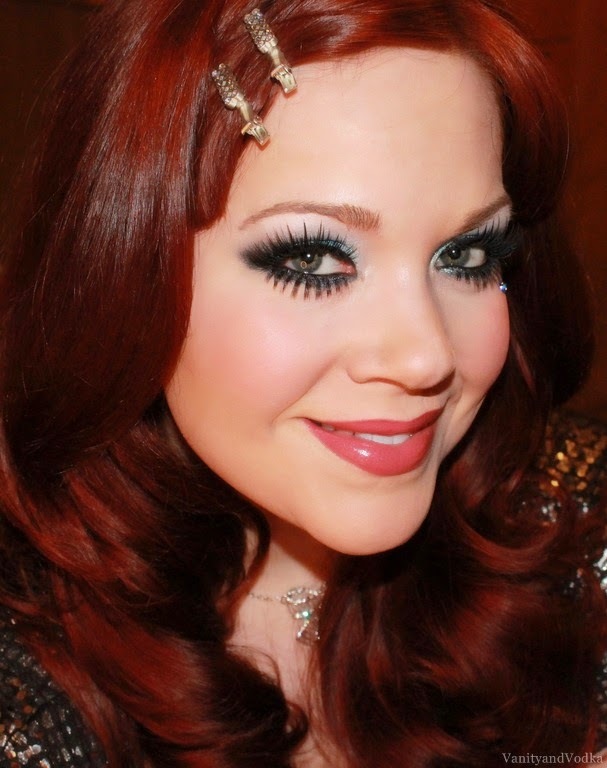 I had a lot of fun creating this vintage showgirl look. I LOVE creating classic looks and putting my own spin on them! Glam can never go wrong. Such a beautiful re-creation! You look beautiful, Colleen! Hi Colleen! Wow! You have gorgeous eyes (and hair)! I don't know if I can pull this look off, but you did a great job re-creating it.